Back in December 2006, I predicted a big 2007 for Brooklyn’s Via Audio based on a couple of MP3s. I was wrong. Their debut album wasn’t released until late September after that initial groundswell of interest had mostly dissipated and as it turns out, the songs that had trickled out back in ’06 turned out to still be the best material on the record. 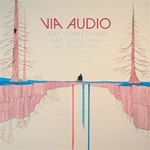 All of Say Something sounds terrific, all sweetly downbeat boy-girl harmonies, sparkling guitars and bubbling synths thanks to production duties from Spoon-man Jim Eno, but the bulk of the material doesn’t quite reach the standard set by the first impression of songs like “We Can Be Good” so many months ago. It’s only in those very relative terms that Say Something can be considered a disappointment, but the potential for greater things still remains. Via Audio are at the El Mocambo on Friday, April 18, in support of Someone Still Loves You Boris Yeltsin. They recorded a Daytrotter session at the end of last year and have an interview with The Post. New York songstress Jaymay – Jamie Seerman to her parents – likes words, has lots of them and isn’t afraid to use them. Her debut Autumn Fallin’ is full of her words, arranged in sentences such that they pertain to topics of love, loss, revenge and forgiveness, delivered in her clear alto with equal parts homespun folkiness and jazzy sophistication with a healthy dose of sharp pop instincts. 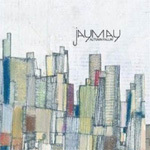 It’s not a recipe that’s new, by any means, but as such it’s one that demands a certain intangible quality of the artist to sell convincingly and Jaymay does possess this in surplus. It’s in her voice, both weary and wary but still hopeful underneath, and her evocative lyrics, like an aural painting of the East Village in earth hues. Don’t know if ya have givin up on them Frank, but a preview of the new the new Weezer song is now out. I’ve actually never cared about Weezer. bah… their label put up dead links. Fixed one of them, anyways.